Our financial fraud attorneys are speaking with investors looking for more information about lost investments and certificates of deposits with Aequitas Management. On March 10, 2016, the Securities and Exchange Commission filed a lawsuit against Aequitas in federal district court in Oregon, alleging that executives at the firm hid its rapidly deteriorating financial condition, while soliciting millions of dollars from investors to pay the firm’s expenses and to stave off the impending collapse. Invest with Aequitas Management or its Affiliates? If you invested money with Aequitas Management or one of its affiliates, our financial fraud attorneys would like to speak with you. Call toll-free (877) 296-0061 for a free consultation with our financial fraud lawyers and to learn more about the investigation. According to the complaint by the SEC, Aequitas represented that it was primarily engaged in the investment of trade receivables and had raised hundreds of millions of dollars from investments through its Private Note Program and the Income Opportunity Fund II. The complaint describes how Aequitas issued over $300 million in promissory notes or certificates of deposits to investors. These notes allegedly had terms of one to four years and annual interest rates of five to fifteen percent. Investors in the Private Note Program and the Income Opportunity Fund II were reportedly provided a November 2013 memorandum stating that program funds would be used to make further investments in trade receivables. This memorandum also reportedly described how the notes would be generally paid from repayment of loans from various assets. At the end of 2013, Aequitas allegedly recorded over $215 million of trade receivable assets on its balance sheet, its largest category of assets. These assets were reportedly heavily concentrated in education loan receivables from an Aequitas subsidiary called Campus Student Funding, LLC, which had purchased loans from the now-defunct Corinthian Colleges at a discounted value. The SEC complaint describes how Campus Student Funding had purchased these loans subject to an agreement that required Corinthian to buy back the full value of any student loans that became delinquent within 90 days. Over $153 million of Aequitas’s $215 million in trade receivable assets consisted of these types of loans. In 2014, Corinthian was suffering serious financial difficulties and in June 2014, Corinthian reportedly failed to make a $4.8 million payment to Campus Student Funding. Since this default, Corinthian has not made further payments and instead, filed for Chapter 11 bankruptcy protection in May 2015. Without these recourse payments, Corinthian has reportedly been attempting to collect these funds directly from borrowers. In April 2014, Aequitas executives received cash projections that demonstrated that the company only had sufficient funds to meet its obligations for the following two weeks, according to the SEC complaint. After Corinthian defaulted on its payments, projections showed a $3.1 million cash shortfall for the following week. Aequitas’ chief financial officer reportedly warned Robert J. Jesenik, the company’s chief executive officer, that Aequitas needed to immediately reduce operating expenses. Instead of reducing expenses, Aequitas allegedly began to issue short-term term notes at high interest rates to attract new investments to pay off the old ones. When raising investor funds, Aequitas reportedly failed to disclose that it was using new investments to repay prior investors and to fund growing operating losses. Although memoranda for the funds represented that investments would be used to pay for trade receivables, the SEC complaint describes how only approximately 25 percent of new investments were actually used to purchase income-generating assets in 2014. The company allegedly concealed its insolvency by making a large intercompany loan that it counted as an asset. According to the SEC complaint, the company used this loan to move cash between its subsidiaries to pay for operating expenses, including a private jet, dinners and golfing trips, renovation of its headquarters, and six-figure executive bonuses. On February 2, 2016, Aequitas sent a letter to investors informing them that it was meeting with advisors to develop a plan to liquidate its assets. It also stated that no further payments would be made until a plan was put in place. Later that month, Aequitas engaged a consulting firm to wind down its company. Our attorneys have twenty years of experience representing consumers and investors in cases involving financial and securities fraud by lenders, insurers, banks, credit card companies, financial groups, and publicly traded corporations. If you purchased promissory notes with Aequitas and are concerned about your potential rights, call our financial fraud lawyers at (877) 296-0061 for a free consultation. 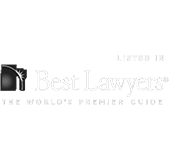 Gibbs Law Group is a national litigation firm that has been ranked as a Tier-1 law firm by U.S. News – Best Lawyers four consecutive years. We have recovered hundreds of millions of dollars on behalf of our clients in collective and class actions and in arbitration matters worldwide.